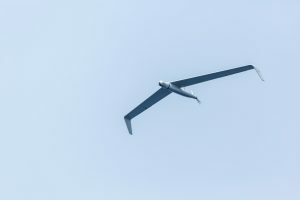 Elbit Systems has developed the Skylark C, a new highly autonomous Mini Unmanned Aircraft System (Mini-UAS) specifically designed and built for martime applications. Based on the Skylark I Mini UAS – which are fully operational and in use by dozens of customers around the world, the new Skylark C transforms and extends the operational capabilities of its land- based counterpart into an organic maritime Intelligence, Surveillance, Target Acquisition and Reconnaissance (ISTAR) asset. 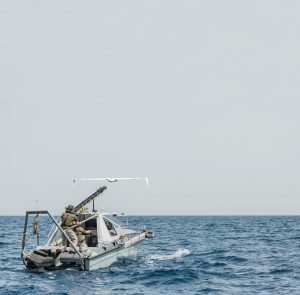 As a maritime vessel organic asset, Skylark C provides the capabilities to inspect maritime activities from a safe distance, observe targets from a bird’s eye view, perform reconnaissance over coastal areas and perform continuous covert surveillance, thus extending the vessel’s ISR capabilities with respect to range, rate and quality of information obtained. Mission effective, with highly autonomous flight capability, Skylark C incorporates an electrically-propelled air vehicle with a very low visual and acoustic signature, making it an ideal solution for covert operations such as special naval operations, border security, anti-terrorism and anti-piracy operations. The aerial vehicle utilizes Elbit Systems’ industry-leading UAS technology and know-how, featuring an advanced inertial navigation system (INS) and a stabilized electro-optical (EO) payload with a high resolution thermal imager and color daylight camera that enables continuous day/night monitoring in diverse weather conditions. During the mission, high quality day or night video is available in real time in the MCS. The operator focuses on the mission rather than on flying the vehicle, applying convenient and effective control features such as fly-by- camera. 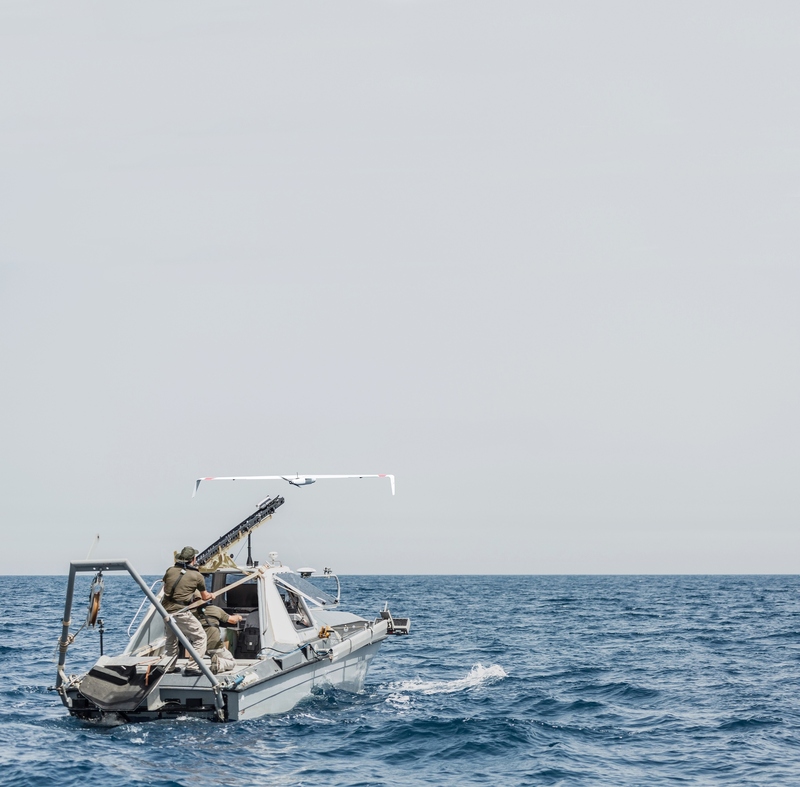 Retrieval of the UAS after the mission is enabled through the use of a unique fully autonomous parachute-based recovery, allowing the lightweight waterproof air vehicle to safely glide, land and float on water surfaces guided by GPS. A net recovery on deck is an optional capability. The entire process – from recovery to next launch– takes no longer than 15 minutes. Only two operators are required to operate the system.